Let’s go for a ride together! 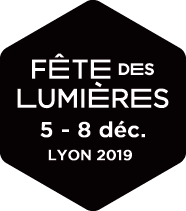 Visitors who become cyclists for an evening will compete against each other in a static race to illuminate the statue of Louis XIV and its pedestal. This unusual and amusing competition will take place on the huge square: adults and children will leap astride one of the thirty bikes available and take up the challenge to pedal as fast as possible in time with each other. This combined energy will create a series of abstract coloured images which vary with every sequence and light up the statue of Louis XIV in a unique way. At the end of this race, which lasts a few minutes, there will be a grand finale of light to reward the athletes’ efforts.